What are the things businesses suffer if they don’t take up digital media to market their product and service? Home / Digital Marketing / What are the things businesses suffer if they don’t take up digital media to market their product and service? Gains and losses are part of every business industry. There are various steps and measures one needs to take to run a successful business. One among the most important is advertising and marketing of the product. A product or commodity has more chances of getting sold if it is advertised through proper means. 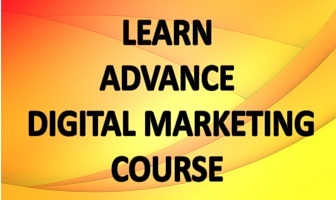 Digital media today is a forum where wide number of customers can get to know about a product or service. This is a process of advertising and promoting your product or service through social media sites. Almost half of the world’s population has access to social media platforms. Marketing a company’s products through this platform is a good idea because majority of the social media users are among the youth, and in a country like India the voice and choice of youth matters the most. Facebook, a social media platform has millions of pages which users are invited to look into or check out through their homepage. Especially for new upcoming companies and businesses, social media promotion serves as an advantage as it helps them to reach out to customers who are sitting at the comfort of their home. Another form of media is the mass media through which an announcement or information reaches masses of people at once. Advertising products via television or magazines is a form of mass media. Traditionally, companies used to opt for door-to-door service, where employees used to knock every door for advertising their product and try and convince buyers to buy it. However, in today’s world, no one has the time to listen to salesmen travelling around the cities. This is also a disadvantage for the companies, as it requires labour and energy, two of the most essential things needed for business competition. Starting a business and running it is no less a task than a continuous competition. Various businesses come up every week, industries grow and fall, and all this while the strongest survives. To have a strong base, it is better for a company to begin with digital media marketing rather than choosing any other form. Even industries which have been formed years ago eventually step in to the arena of digital media for marketing their products, because of growing popularity of the digital world. Thus, for a company/startup/business to survive and go on in a competition like this, it is better to start digital markets. Statistical analysis has proved that digital media marketing is preferred over other forms of marketing due to obvious reasons; target audience. For a startup like Flipkart, digital marketing turned out to be of great advantage, both in boosting its sales and promoting the brand name. Lastly, when the world is slowly shifting towards digitalization, why choose the traditional forum?